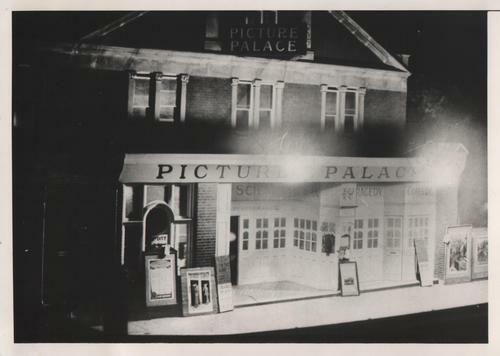 Leisure opportunities during the war had been limited, but cinema going had thrived. 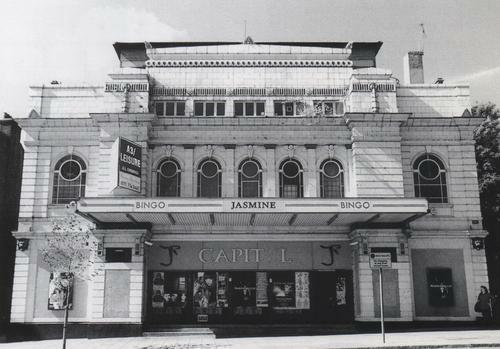 Lewisham in 1948 offered over 9 cinemas - including The Capitol, Forest Hill; Gaumont and Prince of Wales in Lewisham; Park, Hither Green; Plaza, Catford; Queens, Rushey Green; Savoy, Lee Green; Splendid, Southend; and the State, Sydenham. Top films in 1948 included 'Easter Parade' with Fred Astaire and Judy Garland, 'Key Largo', 'The Lady from Shanghai', 'Red River' and 'The Red Shoes'. There was also a variety theatre in Catford town centre - the Lewisham Hippodrome. The 1948 pantomime there was 'Babes in the Wood' with Lupino Lane, Lauri Lupino Lane, Wallace Lupino and The Five Smith Brothers. 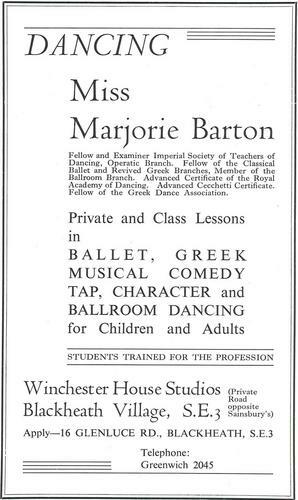 In 1949 S.P Meyers wrote in his book "London South of the River", "The Hippodrome is one of several famous variety theatres in South East London, it is the largest music-hall in London and second in size to the Winter Gardens, Morecambe, Lancashire, the largest in the country. The Hippodrome, Lewisham notes with pride, has five more seats than the London Palladium and six more than the London Coliseum." 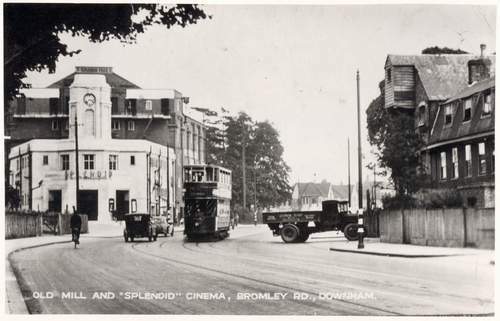 What is now the Broadway Theatre operated as a venue for Lewisham Arts Council and in early 1948 hosted a performance by Sir Adrian Boult and the Royal Philharmonic Orchestra. 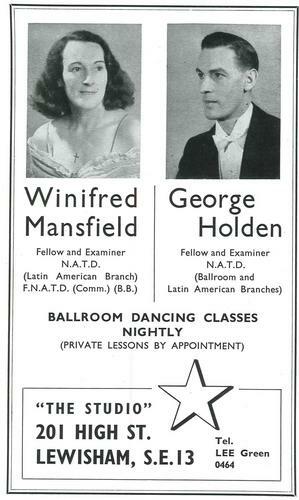 Dancing was very popular and schools taught the latest dances, including Latin American and ballroom.